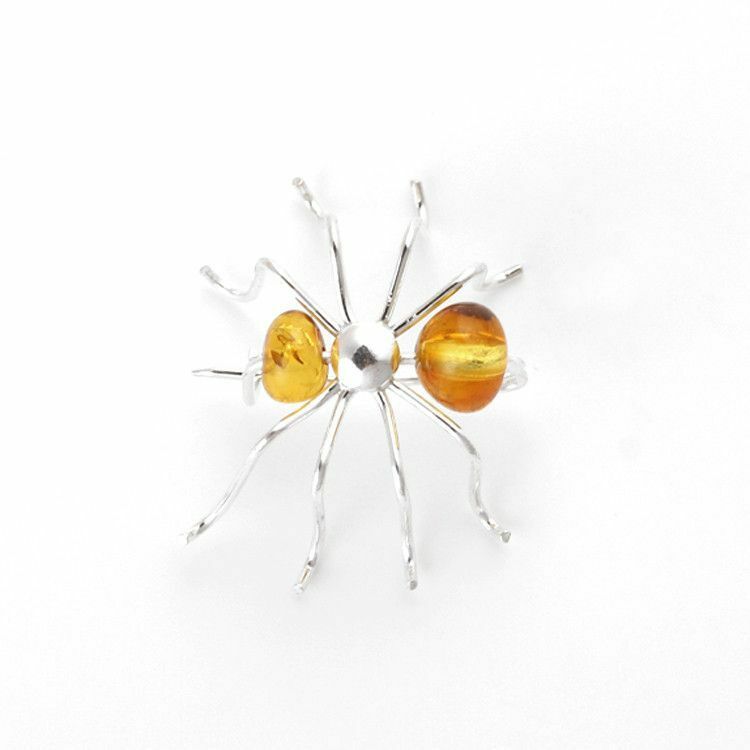 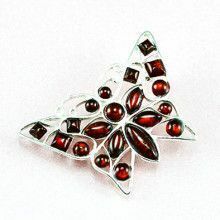 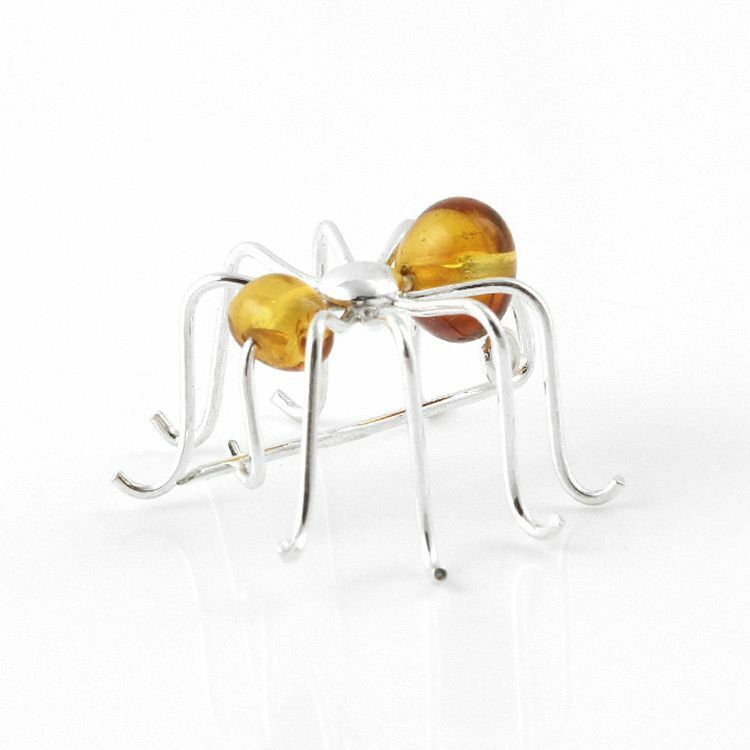 Round honey amber beads form the head and abdomen of this fun .925 sterling silver spider pin. 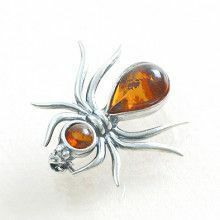 The brooch is made of thin silver wires that curl into 8 legs, attached to a silver body accented by honey amber with unique natural inclusions. 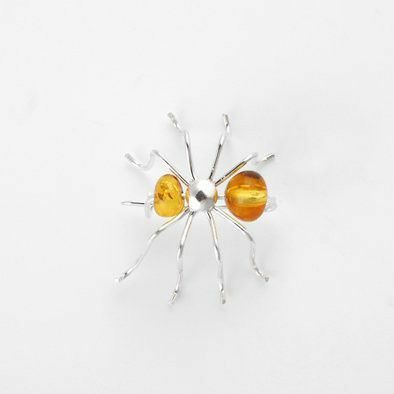 Pin measures about 1" x 1 1/4"